He'll need a hand, of course. . . . and maybe a paw, a fin, and a wing, too. Can the classroom pets—including Sweetie the library rat, a snake named Angel, and the first graders' Green Eggs and Hamster—help Twitch get back to his cozy home in the trees? 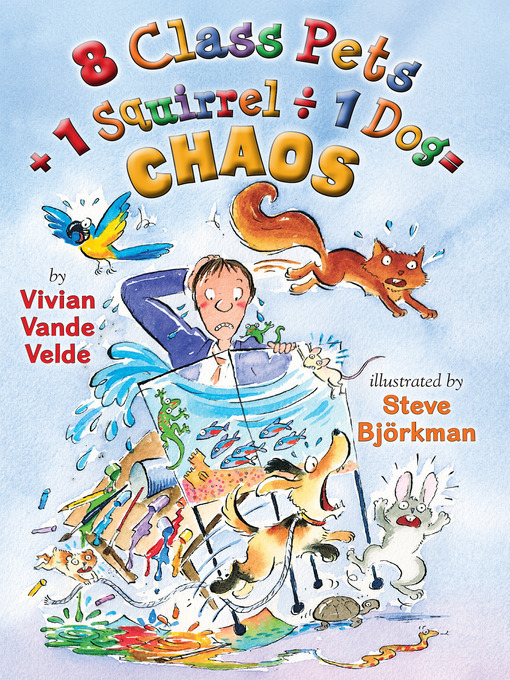 Each chapter is told in the voice of a different animal as the squirrel works his way through the school, visiting each classroom and trying to stay one step ahead of the principal's menacing dog, Cuddles. The different perspectives make this a perfect introduction to narrative point-of-view—and an extra-funny read-aloud.